The basketball season in Kansas City and Wichita was a memorable one this year for many reasons. 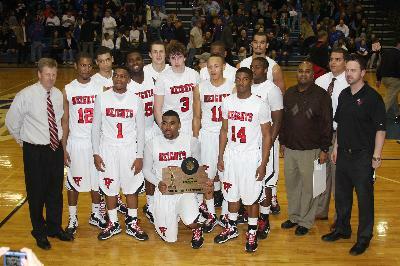 The dominant performance of Wichita Heights. The 10+ players in our area that averaged over 20 points per game. The major post-season surprises we had on both sides of the state line. 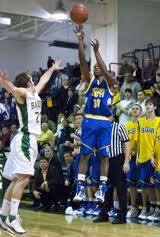 But the best part for us was seeing the continued growth of our area’s reputation for Division 1 basketball talent. 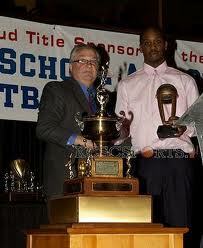 What a run in the 2010-11 high school basketball season. One of the greatest performances of the year came on December 7 when Wichita North sophomore Conner Frankamp had 52 in a close loss to Wichita Northwest. Frankamp went on to lead the league in scoring (at almost 28pg) and will be on the US 16U National Team this summer as well as play for KC PumpNRun in several local tourneys. We also saw 35+ scoring nights from players such as Washington’s Tra’vaughan White, NKC’s Brandon Shively, Olathe Northwest’s Willie Cauley, Park Hill’s Chris Nsenki and University Academy’s Martez Harrison. But it was Smithville’s Dillon Deck, who did his best Kevin Love imitation with 31 points and 23 rebounds in a Pleasant Hill tourney game that probably impressed us the most. Perry Ellis was called the greatest player Kansas has ever produced in this story by Rivals and he certainly has put up some numbers in three years that turn your head. The three-time state champion and two-time Gatorade Player of the Year is now averaging for his career 21 points, 10 rebounds, 2 assists and 3 blocked shots, which is incredible considering his senior year is still ahead of him. On top of that, Ellis has learned to play inside Coach Joe Auer’s system as an unselfish part of a great team. In our poll last year, we asked readers who the best that ever was in our area, and although Ellis received only a small percentage of votes (Danny Manning was the easy winner), if he ends up at KU and wins a title. he may just push the legend down the list. We have decided although it is the popular choice, it is also the right choice for us to name Wichita Heights 6’8 junior Perry Ellis our area’s best player. 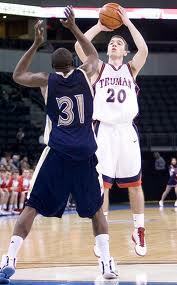 If not Ellis, we would have given our POY to Christian Ulsaker. The 6’7 senior had a great career scoring over 1300 points and averaging over 20 ppg as well as leading the Bullpups in rebounds, assists and blocks. McPherson was lucky to have Jack Pyle on their squad as well (both guys had huge nights in their 5A title game), but Ulsaker was the anchor for the 5A championship team and both times we saw him play this year, he was a game changer. only did he average 23 points per game on an efficient 54% shooting, but every time we watched him play, he was unselfish and tough on the defensive end. He will go down as one of our favorite KC high school players and he passed Earl Watson this year as WHS’s all-time leading scorer. We also bid farewell to athletic phenom Bubba Starling of Gardner-Edgerton and AJ Spencer (SMNW) who both became their schools’ all-time leading scorers this year. 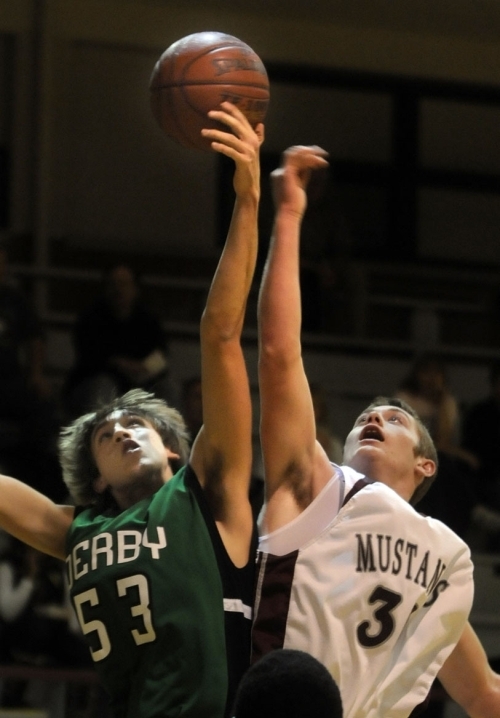 Shay Wooten had a phenomenal career at Salina Central, ending with over 750 career points and 430 rebounds, and Denton Koon at Liberty got into the 1000 point club in his senior season, while also leading his class academically. 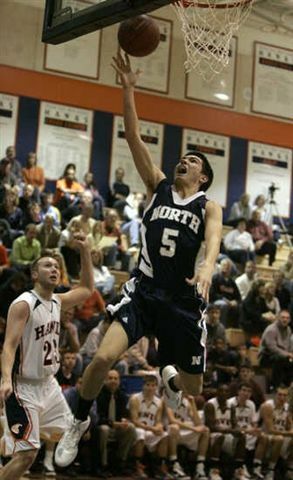 David Kravish at Lee’s Summit North showed us that a superstar player can not only impact the game at both ends of the court but also involve teammates in a way that got the Broncos very close to a Class 5 Missouri title. 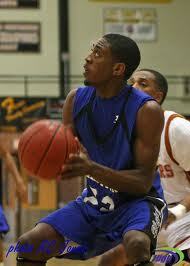 RJ Emery-Leverette ended his solid career at Grandview with over 850 career points and 230 assists. Of course there are many other seniors we would like to recognize if we had the time. 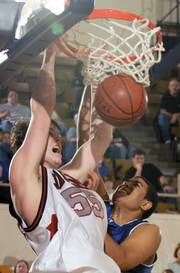 Christian Hildebrandt – Park Hill South – Hildebrandt had a great career and was the main reason for the Panthers success. 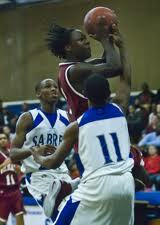 At 6’3, he has the size to get to the rim but he also has a nice perimeter game and was PH’s best defender. He was named to the all-tourney team at William Jewell. 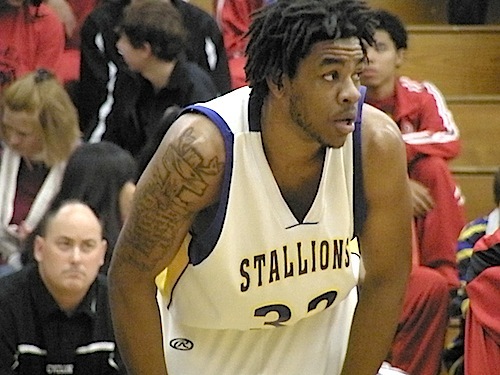 Rozell Nunn – Schlagle – The Stallions had a great year in one of the more competitive KCKALs in recent memory. 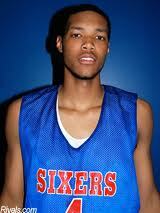 The 6’4 Nunn is a physical and complete player that can score off the dribble and has now added a good 15-foot jumper. 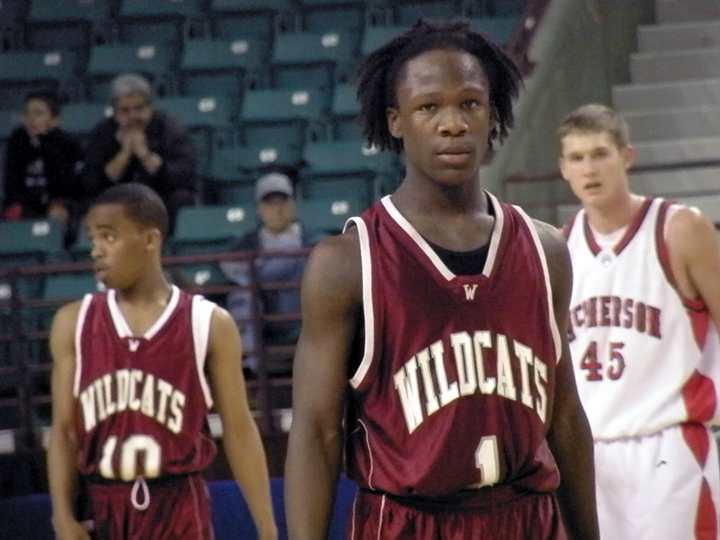 He put up huge numbers this season and if not for Tra’vaughan White would have been KCKAL POY. Nunn will be a force at the next level. Gavin Thurman – Wichita Southeast – In the Buffalos game against Heights at Koch Arena this year, we got a full appreciation for this 6’7 junior. 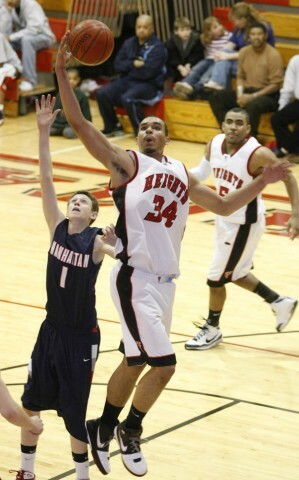 Thurman is a smooth, long athlete that can face and shoot, block shots and pass from the post. With CL buzz around Ellis and Frankamp, he was sometimes overlooked. Myles Hibler – Washington – The 6’4 senior Hibler, along with his brother Michael, made huge contributions to one of the best teams in the state this year. T White got alot of deserved recognition for the Wildcats, but Myles put up big numbers at 11ppg, 10rpg and 2 blocks per game and made big plays in wins over Schlagle (21 rebounds) and Hogan Prep (5 blocks). 3. Khadre Lane – Fr. – Bishop Seabury – The 6’4 wing already getting D1 major interest and with his bounce of the floor, shooting range and quickness, why not. 4. Nelson Nweke – Fr. 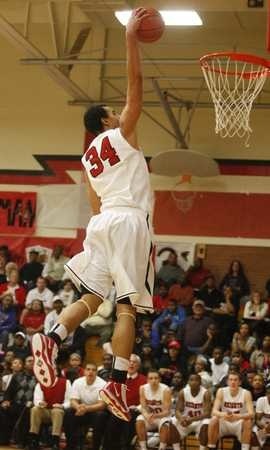 – Grandview – The big bodied 6’7 post really made progress this season and he will lead a talented Bulldog team in 2011-12. He is physical and tough in the post and will be difficult to control over the next three years. 5. 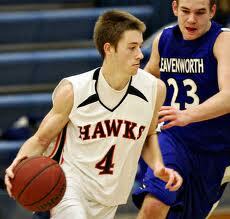 Clay Custer – Fr – Blue Valley Northwest – He is undersized but plays with the poise of a senior already. His ability to run the point for Coach Fritz this year allowed other Husky shooters to have great seasons and he was solid defender at crucial moments all-year. 6. Jeff Leeson – Fr – St. Joe Lafayette – The 6’6 frosh appears to still be growing and can shoot it from long-range in addition to going inside. He was a big reason for late season heroics this year by the Irish. We also encourage readers to check-out the great work the Wichita Eagle did this year identifying the best players in Kansas tournament state history here. Coach Rod Briggs, Lansing – Coming off a .500 2009-10 season, we certainly did not expect the success that the Lions enjoyed this year. Not only did they advance to the state tournament, but they won the Kaw Valley League title with a sweep of Basehor-Linwood before losing in state semis. Coach Clint Meitler – The former Douglass coach led Washburn Rural to the state tournament and an 18-5 record in his first season and won a bunch of close games. He also led the Blues to wins over Wichita East, Ray-Pec and Aquinas as well as the Saints Classic tournament crown in January. Coach Rick Hodge – Platte County came from nowhere for us this year and the Pirates finished the season at 19-6 and champions of the Small Six after beating Grandview late in the season. The team really played well together and was one of the big surprises for us this year. 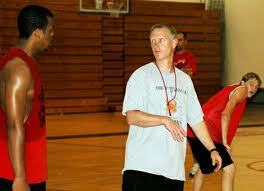 Coach Eric King – Washington – Its one thing to have talent and its another to take that talent and make it successful. Coach King has made the Wildcats better every year since he was hired in 2005, and through one of the toughest 2010-11 schedules of any KC team, Washington went 23-2 and almost got themselves a 5A title. It has to start with Wichita Heights. By winning their third straight 6A championship, they have cemented their standing as one of the best teams in Kansas state history. 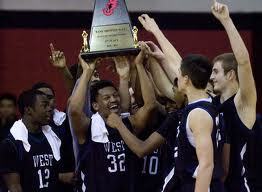 And give Blue Valley Northwest credit for a great 24-2 year, including a close call in the 6A title game. Our last live game was in Columbia on March 11 where Lee’s Summit North and McCluer North gave us an unbelievable Class 5 semi. The Broncos were the best team in KCMO this year but came up short as MN’s 4-star recruit BJ Young scored 30 points in a come from behind win. Other schools such as Ottawa, St. Joe Lafayette. Wichita Northwest, Topeka Hayden and Andover Central had great years, and we also think that programs such as Blue Springs South, Olathe Northwest and St. James had strong seasons but ran into tough district or substate situations. If not having been tripped up in sub-state, we might have called Olathe South the best team (other than Heights) in Kansas. A final salute to McPherson, Hogan Prep and Sumner (who won their second straight 4A title) for their championship runs, and we have to admit we were wrong all season about Dodge City. 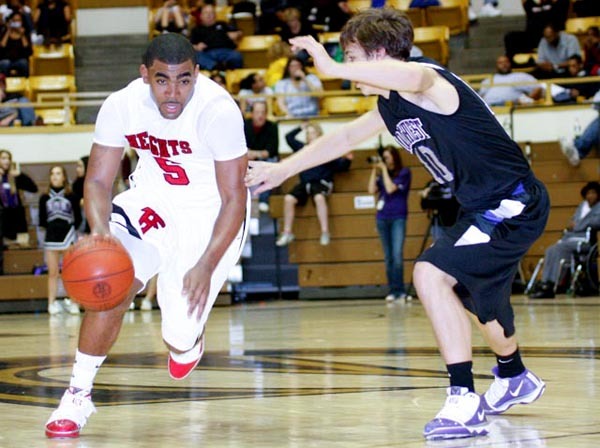 The Red Demons beat Leavenworth in the 6A tourney and Rico Hogan had a brilliant year. Schools such as Blue Valley West and St. Thomas Aquinas also over-achieved at the end of the season and we had no idea that Olathe East was going be so good this year. Coach Jim Super deserves major shouts for taking that team to a level we did not think they were deep enough to reach, leading Heights at halftime of the 6A state semi before falling by 8. We think the two top teams will be led by players with NBA prospects. We hope Perry Ellis and Willie Cauley will go head-to-head at some point next year. As the season wraps in February, teams are preparing for the post-season substates and districts that will determine state tournament hopefuls. Missouri provides a much deeper and more difficult road to state, with more teams and more wins necessary. But in Kansas, there are many schools capable of winning state titles and some substates that are probably more competitive than the state fields that will be in Wichita (6A), Topeka (5A) and Salina (4A). but watch out for Oak Park in Class 15, District 16. The Northmen have not been great for most of the season, but we have a feeling that Kris Reed and company may pull some upsets at districts. There are others such as Barstow (Class 3), Lincoln Prep (Class 4), Lawrence Free State (6A) and Wichita NW (6A) that could end up at state tournaments despite being in post-season groups where they are not the favorites. We saw some elite Missouri teams continue to get better in February. O’Hara (18-4) has a dangerous mix of great guard play with DJ Jackson (our current #1 PG in the city), Jevon Lyle and 5’5 Rayshaun McDonald and inside presence with 6’6 junior Daniel Hurtt and 6’5 senior Josh Rupprecht. They also have in Coach Scanlon someone who has been to the tourney many times before. Along with the Celtics, Lee’s Summit North and Ray South have been elevating their game to the top of KCMO. The Lee’s Summit area has produced three good teams this season, but they will not all be in the same district. Lee’s Summit North is the best of them, but West and the LS Tigers are dangerous. In Class 5, District 15, Winnetonka has put themselves in position by winning 11 of their last 13 games and they will host the District in their gym. Led by seven seniors that play, the Griffins and Coach Howard have quality wins over teams such as Lincoln Prep and Platte County. On the Kansas side, three Olathe schools have shown in February that they have as much talent as any other area in the metro. Combined, Olathe East, Northwest and South are 47-7 and will all play in the same substate. Olathe East hammered Washington on February 16 which told us they may be the best team in that group, with all-state guard Tyler Kalinoski among the city’s leading players. Schlagle and Harmon are good teams out of the KCKAL but league champion Washington (5A) and runner-up Sumner (4A) are both real threats for titles. Their game on February 18 was one of the most exciting we have seen in KCK and we walked away convinced of Washington’s chances to beat McPherson in 5A with T White and Jervon Hooks leading the way. Lawrence Free-State pulled one of the big upsets of the month when they beat #3 ranked Olathe Northwest on the Ravens home floor. According to Ben Ward of the Lawrence Journal-World, OLNW had a hard time finding an offensive rhythm and could not control Eric Watson or Georgi Funtarov who both had big games. Gardner-Edgerton also provided a shocker by knocking off previously undefeated Blue Valley Northwest on February 11. Bubba Starling not only had 23 in the game but physically took over the game on the boards, in the open floor and on the Trailblazer’s defensive end. 1. 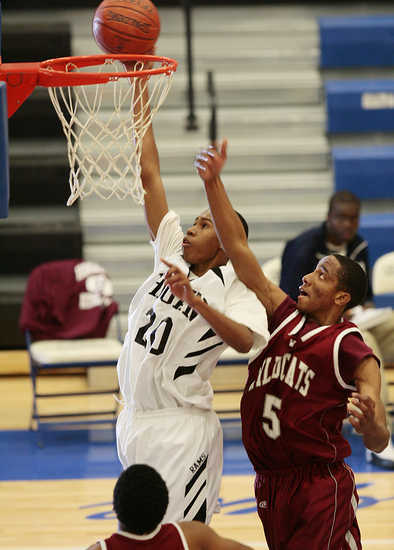 Tra’vaughan White – scores in buckets, unselfish and has taken over games for one of the best teams in the city. Although undersized, he has a big motor and scores by being efficient (58% from the field) as well as playing with his teammates as opposed to dominating the ball. He averages 3 assists and 4 steals per game. 2. Tyler Kalinoski – Olathe East – Kalinoski looks effortless in the way he plays and is the primary reason Olathe East is 16-2 and one of the best teams in the city. 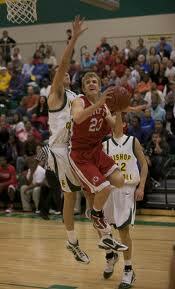 Averages over 30% of his teams points at 16ppg and may be the best perimeter shooter in Kansas (over 42% from three). He also averages 6 rebounds per game. 3. 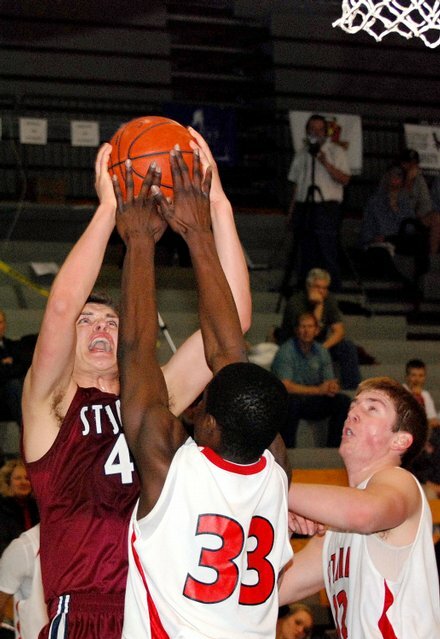 Dillon Deck – Smithville – The 6’9″ PF not only averages over 20ppg but over 11rpg and 3 blocks. He has been a big surprise for us this year and probably KC’s best big man. Although Smithville has lost some games in February, he has been dominant in several city tournaments and averaged over 20 and 20 in the Pleasant Hill Classic. 4. David Kravish – Lee’s Summit North – If Deck hasn’t been the best big in KC, Kravish has been. He may not score like some of these other guys, but his balanced game in passing, rebounding and defending makes him one of the premiere players. 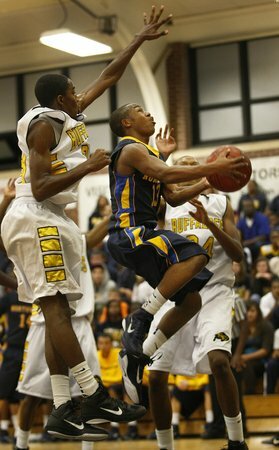 In a high school era when many kids are selfish on the floor, he is not and plays within the Broncos team concept. 5. DJ Jackson – O’Hara – We did not even have Jackson on our top pre-season team in Missouri but he has definitely proven us wrong. 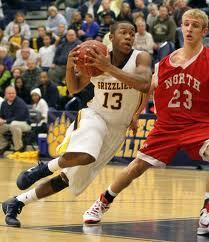 He is averaging over 20 ppg and runs O’Hara on the offensive and defensive side of the floor. 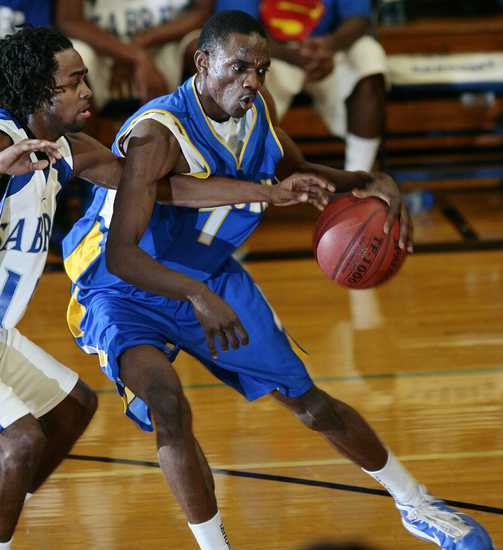 Probably the best PG in the city. to be the best team in the entire area (now ranked 6th at Rivals) and looking to make it a 3-peat in Kansas while McPherson appears to be the best 5A team in the state. We continue to like Andover Central and Maize because of their size, and we believe Northwest, Southeast and North could all surprise in their sub-states. Wichita East has loads of talent and if they can find consistency and avoid Heights in the Washburn Rural substate, they could advance to the state final, according to Joanna Chadwick of the Wichita Eagle. Wichita Collegiate (16-2) looks poised to win yet another 3A state title with a team that has played 14 different guys during the course of the year. The Spartan’s top players are Trace Clark, Kevin Richardson and Marcus Phox, but they have had contributions from a host of others in big wins vs. Gardner-Edgerton and Kapuan. We have not been out to see Dodge City this year, and based on what we have heard do not think they are a contender in 6A, but Rico Hogan can play and when it comes to post-season, having a go-to scorer can make the difference. 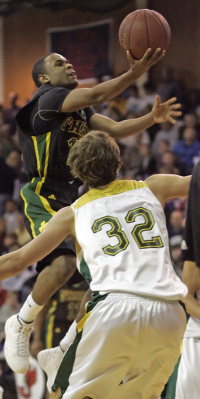 February Milestones – Congrats to Basehor-Linwood coach Mike McBride who got win #200 in February and to Tra’vaughan White who passed Kansas City legend Earl Watson to become the all-time leading scorer in Washington Wildcats History. Speaking of Washington, they just picked-up Dominique Wilson for the 2011-12 season as the 6’9 junior has moved back to Kansas City. That will be a game-changer in the league. 1. 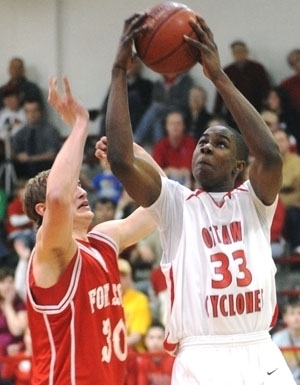 Semi Ojeleye – The Ottawa sophomore has a college body already and at 6’5 can really move and jump. He is now averaging 24 and 6, which has him in the top of both categories state-wide, and he is over 50% from the field for the year. 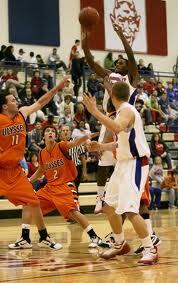 Once it is all said and done, Ojeleye will be one of the best to ever come out of rural Kansas hoops. 2. 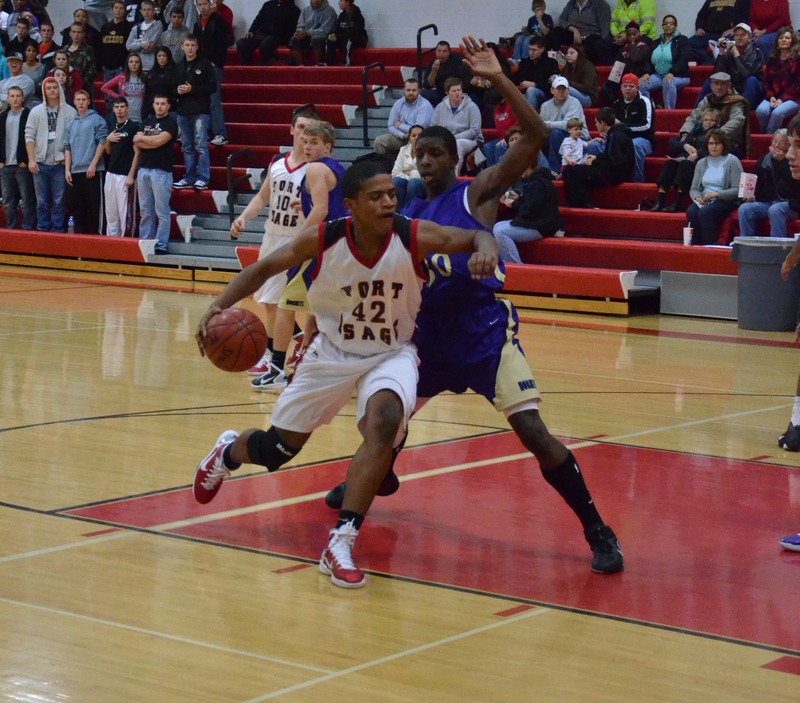 D’Vante Mosby – Not only is this sophomore one of the best kept secrets in Kansas City but he is contributing to his Fort Osage team in many different ways. Although the Indians have struggled a bit this year, Mosby has had a double-double in more than half of the team’s games and is averaging 15 and 14 on the year. 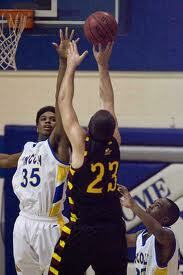 He also set a school record with 20 rebounds vs. Chrisman in a Feb 4 win. 3. Wichita East – After a rough January, the Aces rebounded with a strong February, including a narrow OT loss to Wichita Heights and seven straight wins in the CL. Not only has the backcourt of junior Jalen Love and senior Ja’ln Williams continued to play well, but 6’5 junior Nathan Jackson has picked-up his scoring, now averaging 15.4ppg. 4. 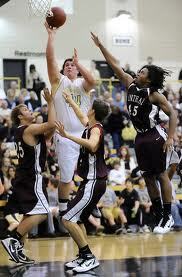 Winnetonka – Preston Oakes leads the Griffins who are now 17-6 and as we mentioned the favorite in Class 5, District 15. In addition to Oakes, who averaged over 25 per game in February (including 37 against William Chrisman), Skyler Harris adds post presence to go along with a bunch of seniors who contribute minutes; Jacob Moore, Alex Djakovic, Dreau Neuman, Sean Morris, Tre Spann and Louis Moehlre. Bennie Curtis has also boosted the team off the bench. 5. 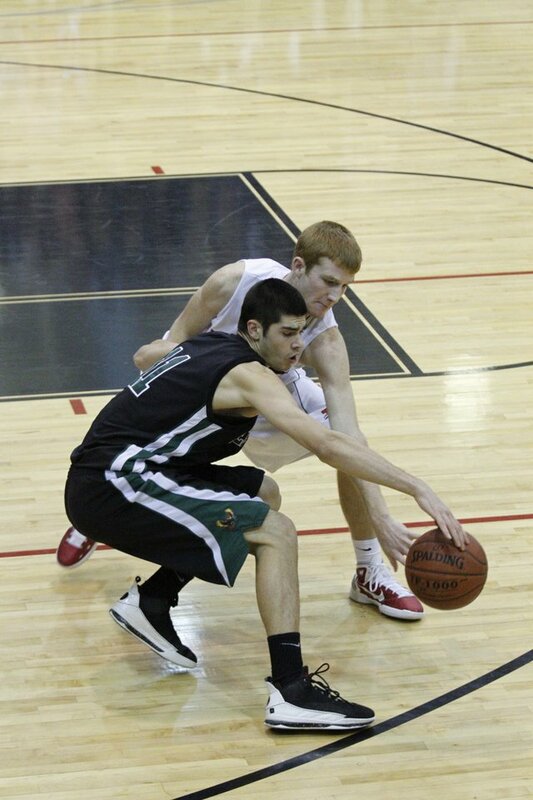 Christian Hildebrandt – Park Hill South – The 6’4 senior was a force in the Panthers state tournament run last year and he has had a nice 10-11 season as well. In February, he averaged 20 points per game and had big rebounds down the stretch in their win over Raytown on February 8. 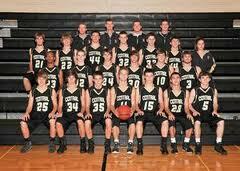 Team of January – Salina Central (14-4) has played well enough to now be leading the AVCTL. They have quality wins over Maize and Goddard and will be in Salina for their substate where McPherson will also be playing. Senior Shay Wooten is a terrific player (14ppg, 8 rpg, 3apg) and Treyton Hines, Mark Vaughan and Kyle Mcquaige bring scoring balance to a small but tough team. Under the Radar – St. Thomas Aquinas has had highs and lows this year, including a bad loss to Blue Valley West and great wins over Blue Valley North and then Gardner-Edgerton on February 18. The Saints always seem to put together solid seasons without a dominant player, and this year they have done it with a 10-deep rotation that includes seniors Joe Downey and Shane Nachbar and a mix of juniors and sophomores such as John Ekedahl, Jimmy Clark, Will Markway and Tyler Clement. Why no mention of the fine seasons for both Blue Valley North or Blue Valley Northwest? We think both have a great shot at making the tournament in Wichita, but neither school has played a tough schedule and we don’t think they have the size to knock-off other 6A powers. We give them 2% chance which isn’t bad when you consider Heights is our overwhelming favorite. There are many other teams that will compete for titles this year, and as there were last year with Park Hill South, Derby and Blue Valley North, there will be surprises. With some of the sub-state/district pairings as competitive as they are, several top ranked teams will not make it to their state tournament. For a complete look at these brackets, click Kansas or Missouri. Its still early, but January made it a little easier to identify the contenders in both Kansas and Missouri. Starting with the Bank Midwest Holiday tourney at William Jewell, we saw teams such as Grandview, Ray-Pec and O’Hara continue their rise as state title hopefuls. Coach Larry Holley’s tournament gets better and better every year and was highlighted by some great individual performances such as senior RJ Emery-Leverette’s 31 against Blue Springs and Smithville’s Dillon Deck who nearly averaged a triple/double in the tourney. The mid-January Culver Classic was another great showcase of top teams with highlights coming from Blue Springs South who beat Rockhurst and Lee’s Summit North who took Raytown South to the brink in the championship game. O’Hara (14-4) barely escaped an improved Lee’s Summit team in the first round, falling behind by 14 in the first quarter before Daniel Hurtt (26 and 10 for the game) led the Celtics back to a 5-point win. They then lost a close one to the Cardinals in the semis. 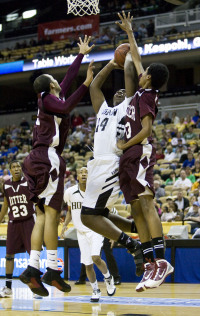 O’Hara will be the best team in Class 3, District 14 but may have to face dangerous teams such as Hogan Prep or Barstow. Don’t you guys in Kansas wish you could put on more of these great showcase tourneys? Too bad you are limited to 20 games and no holiday play. Ruskin (12-6) as well as players such as Rockhurst 6’3″ senior Clarence Kirkwood, University Academy scoring machine Martez Harrison and Lee’ Summit West junior PG Shaq Harrison. 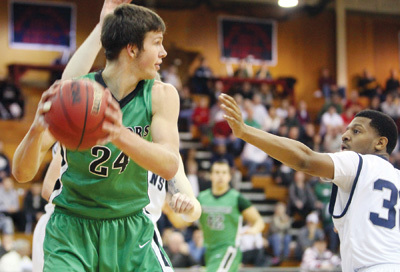 Teams that really improved in January included 10-7 Lee’s Summit and 11-6 Smithville. Led by Deck’s return, Smithville has been on a roll in the Midland Empire conference winning 9 of its last 10. They could now be the team to beat in Class 4, District 16. 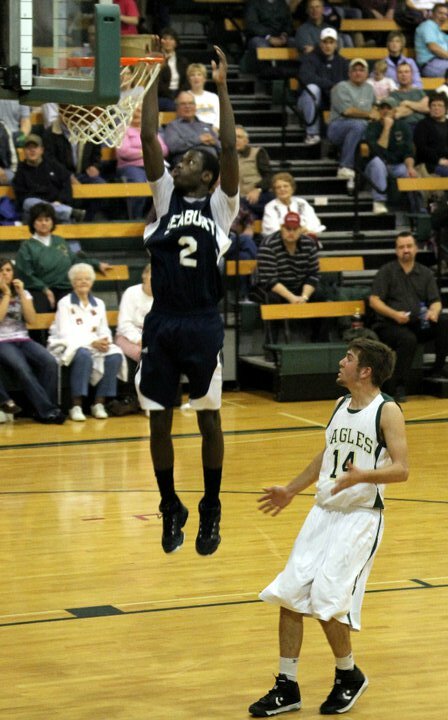 Also in Class 4, a high-scoring Lincoln Prep is our favorite in District 14 after a 5-2 January. Led by the lanky and smooth Maurte Harrison as well as Deron Session, the Tigers have wins over St. Thomas Aquinas and University Academy. on January 7, Ray South dropped one to Park Hill South but bounced back to beat Rockhurst in a thriller we watched on January 14. In that 4th quarter comeback they showed why they are probably the best five loss team in the city. Rockhurst struggled in the Culver but they have balance coming from Kirkwood, seniors Matt Lampo and Chris Bohannon as well as 6’5″ Frank Arbanas. O’Hara, Truman and Ray-Pec continue to be at the top of our KCMO poll, but all three have losses from a tough schedule that should prepare them for post-season play. The suburban leagues on the Missouri side are very competitive this year. The Suburban Big and Middle 6 and Middle 7 have been anyone’s guess and have to be the deepest leagues with at least eight teams in the post-season hunt. They all just keep beating each other. This was underscored in week two when Raytown (10-9) took down Park Hill South (13-7), followed a week later when the Panthers beat Ray South and Lee’s Summit beat Blue Springs South (11-8) who then beat Rockhurst (14-6) for the first time in school history on the 18th. Ruskin beat Lee’s Summit and Lee’s Summit North (13-4) handled Ruskin, Ray-Pec and Lee’s Summit West (7-9) as part of the Broncos 11-game winning streak, before losing to Lee’s Summit on the 25th. In the Small 6, Grandview (14-6) is the dominant team and they already have wins over Liberty (at the Jewell tourney) and Rockhurst. Even after being tripped-up by the Saints in the Aquinas tourney semi and losing 3 of their last 4, GHS remains undefeated in the league and is showcasing players other than the talented Emery-Leverette. Junior Khalil Davis had big games during Leverette’s missed games in mid-January and the raw but imposing 6’7 freshman Nelson Nweke has started to become a force inside. Of all the teams in the Big/Mid/Small, several teams could raise a district or state title trophy, but we still think Ray South (who was our pre-season #1) has the most potential to go all the way. On the Kansas side in January, we kicked the new year off with a huge Sunflower League showdown between ranked rivals Olathe South (11-2) & Olathe Northwest (11-2), which marked the debut of 6’10” phenom Willie Cauley. In his first high school game in nine months, the nationally ranked junior really dominated the match-up on both ends and showed us that the Ravens might be able to challenge BV Northwest (12-0) and Wichita Heights (12-0) in 6A. The inside/out of OLNW is a tough match-up and Cauley finished his first 6A game with 21 points, 9 rebounds and 3 blocked shots in a 47-42 win. He had 40 in a game later in the month. Olathe South has a nice squad too (led by senior DJ Cole and 6’7″ Tyler Thomas) and they handed Washington their first loss of the season in the Topeka tournament championship last week. Leavenworth (9-2) and Olathe East (10-2) remain strong on the Kansas side of KC, along with the continued success of Washington (10-1), Sumner (who got senior power forward Eli Alexander back from injury on January 4) and Harmon, who surprised us with their win over Sumner on the 14th. The Hawks (10-2) got four double-figure scorers in the 13-point win over the Sabres and followed the next week with a run to the Thomas Invitational final where they lost to Coffeyville. They have proven that they belong as a premiere team in KCK with new coach David Gonzales and have made the KCKAL title chase very interesting this year. It’s also vindication for Gonzales who took a lot of unfair heat when former coach Heath Cooper was suddenly dismissed. With Washington’s big win over Sumner on the 28th, they remain our league and 5A favorite but its a tight race. We don’t know what to think about: SM Northwest who is 4-8 but has a premiere player in senior AJ Spencer; Gardner-Edgerton who has been up and down and now sits at 7-5; or Schlagle who is yet another top team out of the KCKAL. Led by Rozell Nunn, the Stallions are 9-3 including a blow-out of Harmon, but still will have a tough road to advance out of their substate that includes Washington, Lansing and Highland Park. Traditional 5A power St. Thomas Aquinas is 7-5 and ended Bishop Miege’s four-year homecourt winning streak in January as well as made a nice showing in their January tourney. We do know what to think about: Basehor-Linwood and the Murphy twins who continue to roll even with a close loss to Lansing but wins over Ottawa (in their January tourney) and Olathe East; and Blue Valley Northwest (who is living up to our pre-season #2 ranking) handing Schlagle a 30-point loss in the Valley Center tourney ‘ship. The Huskies, who also had a solid win over Blue Valley North, have 10 players that contribute and might be good enough defensively to stop a team like Heights. 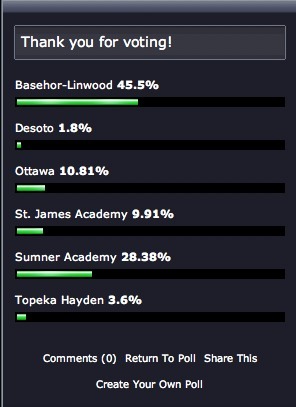 Programs such as 8-5 St. James (who beat Olathe Northwest but lost to Topeka Hayden and Leavenworth) and 9-4 Ottawa have been inconsistent but will still be threats come playoff time, and we should also mention Desoto High School who stands at 7-5 with losses to Basehor-Linwood (#2 in our KS poll), St. James (#9 in our KS poll) and a very good Silver Lake team. The Wildcats beat Ottawa and handled Paola by 30, and their junior scoring leader Mason Wedel has shooter Joey Johnson on the perimeter and 6’6″ Aaron Nutterfield in the post. Maybe they can make some noise in 4A. Northwest on Jan 14, which further convinced us of the league’s quality. The Aces guards (Jalen Love and Williams) combine with 6’3″ RJ Melbert, 6’2″ Ronnie McFann and 6’5″ Nate Jackson to produce a team that can run as well as score in the half-court, and they really dominated a good NW team from the midpoint of that game. It’s probably time to start thinking about Heights as one of the best teams in Kansas and Wichita history. Not only do they have a blue-chip player in Ellis, but they are talented at every position and play very well together. If they go on to win their 3rd straight championship, this might seal their standing as the best ever alongside Wichita South teams that won every championship between 1978-81 and five more from 1988-94. Outside of the city, McPherson (12-1) also impresses us with the inside/outside balance of Christian Ulsaker and Jack Pyle. 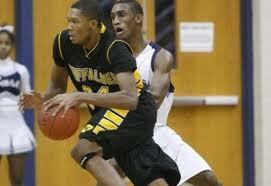 The Bullpups may be the highest scoring team in the Wichita area, with both of these players in the state’s top 10. Their hometown tournament loss to Heights is a respectable blemish and they are now our co-favorite in 5A, along with Washington. We talked about a strong small school last month with Kansas 1A Bishop Seabury and saw two more good small programs in January. Class 3 Barstow is coached by former KU star Billy Thomas and is now 9-3, including a close road loss to Schlagle. And Wichita Word of Life is a small independent school (with just 100 students) that is 14-7 but has played some big programs like Denver East and Basehor-Linwood. 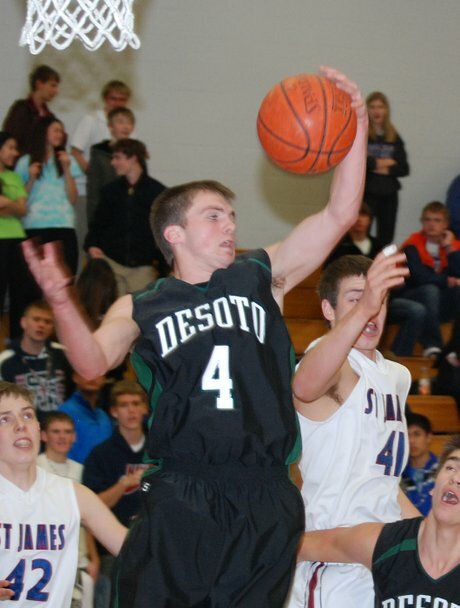 They feature a number of good players such as 6’2″ Dolan Greathouse and 6’6″ PF Luka Djurisic. They are not sanctioned by KSHSAA so won’t be in post-season play but they are worth checking out in Wichita. We only had the chance to see a few Topeka games in January and we have been asked by readers to cover the teams there more often. We watched a quality Washburn Rural (10-2) squad win the Saints Classic with their ninth straight win that included a 44-37 semis victory over KCMO power Ray-Pec. They lost a back and forth game to Olathe East but proved they can play with one of the top Sunflower teams. Topeka High, who has moved to 7-3, could also make a run, but the problem for the Trojans will be their placement in the very competitive Olathe North substate. Highland Park (9-3) is another strong member of the Shawnee Heights/Tecumseh substate with Washington, Schlagle and Lansing, and 4A Topeka Hayden (9-3) won the Burlington tournament and will make it interesting in the Spring Hill substate with St. James and Desoto. Milestones – Congrats to Coach Mark Scanlon at Bishop O’Hara who now has over 500 wins and together with his brother Jim – who has over 600 wins at Columbia Rockbridge – could be the most successful brother tandem in KC area history. Congrats also to Leavenworth’s Larry Hogan who collected his 400th win in January. This month marked player milestones as well with Smithville’s Deck getting to the 1000 point club and newly eligible transfers becoming available in several contending schools. 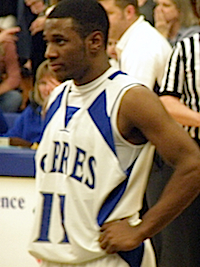 Manual Barnes, a 6’5″ french student, made his debut for Bishop Miege as did 6’6″ Georgi Funtarov for Lawrence Free State. We watched Funtarov live this month and he has a smooth european game that makes the Firebirds (7-6) a better team. Along with Willie Cauley, these guys will make contributions in the second half of the season that could change things for their teams. Which teams will be better down the stretch? The squads with one prolific/go-to scorer (Spencer at SM Northwest, Nsenki at Park Hill, McCullough at St. James) or the teams such as Truman (Harris, Winn and Large), Ray South (Peterson, Hilliard, Wainwright) and Wichita East (Jackson, Love, Williams) who have balance but no one, “no-questions-asked” option. Ultimately, you would expect more balanced teams to do well, but in the tight situations that will come at Districts, having a player with no conscience can translate to upsets in close games. 1. Dillon Deck – The 6’7″ Deck missed some games early in the season but since returning has scored 20+ in eight straight games and is averaging a double/double while his team has gone 9-2 with him in the lineup. He can score from the perimeter, in mid-range and at the rim, and he plays extremely hard at both ends. He was named to the Bank Midwest All-Tourney team at William Jewell and averaged an incredible 30 points and 20 rebounds in the Pleasant Hill tournament. 2. Clint McCullough – In addition to the 31 points and 12 rebounds vs O’Hara (which included a 70 footer) early in the month, the junior St. James forward also had 24 against Hogan Prep and 26 against Olathe Northwest. McCullough is a 6’6′ SF who can slash to the basket, hit mid-range jumpers and who regularly puts the Thunder on his back in big games. 3. Lee’s Summit North – After losing a few games early, including a one-point loss to Kansas power Olathe Northwest, the Broncos have steadied and now look to be a threat again in Class 5, District 14. With 6’9 David Kravish and 6’8 Tory Miller inside and the improved guard play of Kenny Berry, Will Harrington and PJ Lewis, big January wins over Ray-Pec, Liberty and Ruskin have them back at the top of our rankings. 4. Maize High School – The 8-4 Eagles lost their first game of the month to Salina Central but bounced back to win four straight before running into Heights. In beating Andover Central, they established themselves as one of the AVCTL power teams. Senior guard Ryan McCarthy is one of the best scorers in the state and he has the tough Derek Lee and 6’7″ offensive lineman Steven Wolgamott inside. Maize made a nice run in the 6A state bracket last year and could be working toward another shot this year. 5. Adam Woods – The William Chrisman senior hit 7 threes in a win over Sumner of St. Louis and followed that up with 31 against Joplin and 33 vs. Raytown. At 5’11”, he is a smaller guard who can really shoot and find shots in transition. Woods and teammate Devin Spencer shoot alot and score alot too- bombs away! Team of January – Andover Central (9-3) has something you can’t coach with 6’10, 6’8 and 6’4 (300 pounds) in the middle, The Jaguars had a close one with Andover before winning in OT on January 4 and won 6 of their first 7 games. 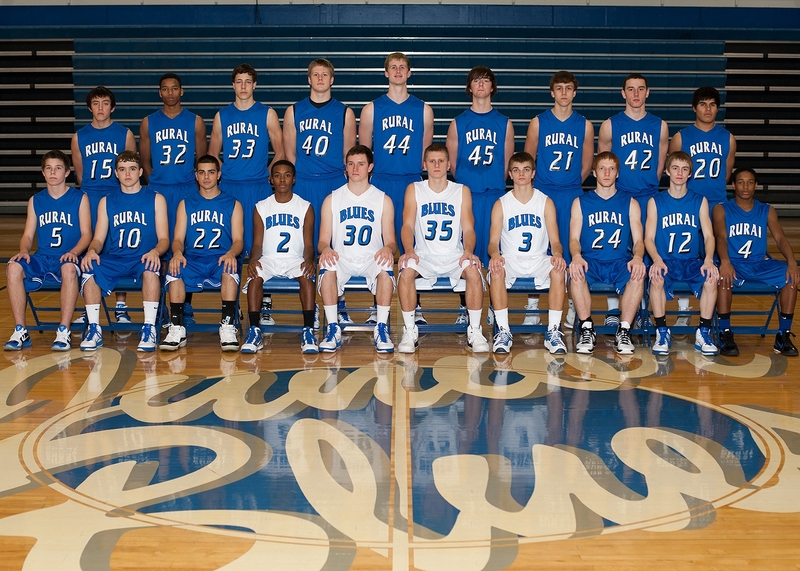 This is a team that went 20-3 last year and added players from a JV/freshman squad that went a combined 36-1 in ’09/10. Central is the favorite in AVCTL 2 and could make noise in 5A. Honorable mention in January to Blue Valley North who after losing two of their first three have now started to string wins together including a run to the title in the SM West tourney. Surprises of January – We really did not expect the success of Blue Springs South at the beginning of the season, but the backcourt of DJ Booker (featured in KC Star here) and Darrion Geiger along with 6’5″ senior Drake Patterson, athletic junior Wesley Poke and solid big man Shawn Meyer have made the Jaguars a real threat in District 14. 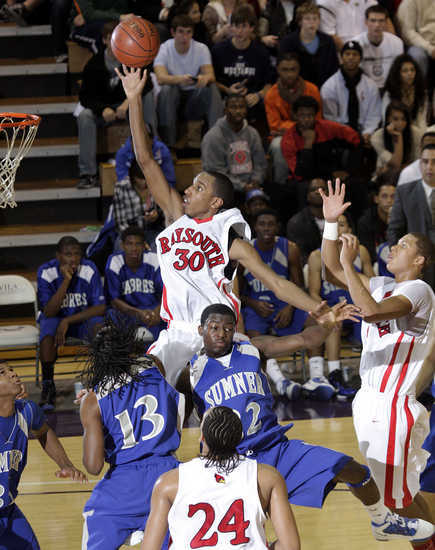 We were also surprised to see the emergence of 2011 6’1 guard Garron Dumas who put up some big games for Raytown in January including 25 versus William Chrisman and 30 against Blue Springs. Under the Radar – Sophomore 6’2″ guard Scott Edwards is the leading scorer for Blue Valley North, averaging 15 points, 3 assists and 3 rebounds per game. With seniors Danny Dolan (MVP of the Viking Classic) and Peter Alexander, the Mustangs sit at 8-3 and along with several other teams are a threat to get the second birth (BVNW will get one) in the free-for-all Shawnee Mission West sub-state. We also think Kaw Valley’s 5A Lansing has gone largely unnoticed this year and they now stand at 9-3 with losses to 6A Free State, Topeka Seaman and Holton. The Lions did hand Basehor their first loss of the season and they have wins over Desoto and Shawnee Heights. 6’2 Izaiah Grice averages over 16 points and 6’5 Chris Jones is grabbing five boards per game. In January, we asked our readers to rate the chances of the top teams in Kansas in winning a state title. Who are the best hoops teams in Kansas? There has been a lot of chatter on our Twitter and email about KC and Wichita schools and who are the strongest contenders. We are interested in which schools you think have the best shot at the Kansas 6A, 5A and 4A state titles. Let’s start with the big class where Wichita Heights is the two-time defending champion but where there are also a number of teams that are much improved and could challenge the Falcons. In 5A, Washington and McPherson probably have the strongest teams but the class is wide open with Miege and Highland Park re-building. 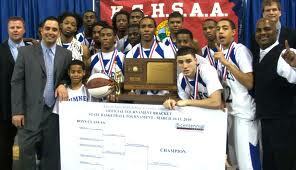 For the first time in years, many different programs have a legit shot to lift the trophy in Topeka. 4A could produce a championship from any one of several teams, and the smaller class arguably features teams that could compete for 5A and 6A titles. The problem in 4A is that two of the top three teams in our rankings come from the same sub-state so someone will be left behind. The Bank Midwest Holiday tourney at William Jewell did not disappoint this year as we saw teams such as Kickapoo (Springfield) and Grandview win titles again, while power teams from the metro advanced to semi final games only to fall short. Coach Larry Holley’s tournament has a state tournament feel with a venue and environment that is one of the better ones in KC for high school hoops. This year turned out to be one that matched-up many of our top ranked teams (seven of our top 10 in KCMO played) and there were not only some surprises (Grandview beating Rockhurst and then hammering Liberty) but also many close games that ended with buzzer beaters such as the O’Hara tip-in win on Wednesday and half-court winner by Lee’s Summit West to beat Columbia Rockbridge the same night. Cardinal: Kickapoo (Springfield) won this division after close wins over Blue Springs South and then O’Hara in the final and now stands at 11-0 as one of the power teams in all of Missouri. We were impressed with the strength of the Chiefs, without Missouri State commit Christian Kirk (who is ineligible), in forwards Ryan Rippee and Tyler Hall. They beat a previously undefeated O’Hara team (that escaped Park Hill South in their semi) after taking control in the third quarter in what was anyone’s game at the half. O’Hara is now 8-1 as the final came down to the Chief’s size and ability to handle the pressure of the Celtics, but we continue to believe that O’Hara has the best back-court in Kansas City with Jevon Lyle and DJ Jackson (who had 26 in the final). Blue Springs South guards, senior Darrion Geiger and junior DJ Booker, both played extremely well in this division as did Christian Hildebrandt and Ricky Benson for Park Hill South. Patterson: We expected this bracket to be a showdown between Rockhurst and Liberty, but Grandview’s Khalil Davis and RJ Leverette pulled the upset of the Hawklets in the semis and then completely dominated the Bluejays Thursday night. In the end, Liberty could not hit shots and Grandview’s bigs controlled 6’8″ Denton Koon (who is headed to Princeton) inside. Grandview looks like a team that could only get better with young players such as Leverette’s freshman brother Jawan Emery, Davis and freshman 6’7″ Nelson Nweke who have all been able to make up for the departure of senior Tyler Rambo (who has moved to Texas). The Bulldogs took an early lead in the final and never looked back. Koon averaged 13 points and 9 rebounds in three games and was key in the Bluejays two point win over Park Hill the night before, but could not get things going in the 54-38 loss. The third place game ended up to be a great one too with PH’s Chris Nsenki (20pts) and 6’3 Rock senior Clarence Kirkwood (23pts) going at it before Rockhurst outscored the Trojans by 12 in the final quarter and won 65-61. Nelson: The shot of the tournament occurred in the semis of the Nelson when Lee’s Summit West’s Shaq Harrison hit a half-courter to beat Columbia Rockbridge 52-51. The next night, the Titans appeared to be in trouble after falling behind by 15 with Truman’s guard trio of Antonio Winn, Zach Large and Darrien Harris combining for 30 points in the first half. But West was led all week by Harrison, sophomore Trevor Gregory and junior Nathan Jackson and they got back into the game before taking control in the 4th quarter. One of the great things about Coach Holley’s tournament is the teams coming in from other areas. Columbia Rockbridge is a program that likes to travel and St. Joe Central came over for games as well. The tourney allowed both programs to show-off talented sophomores in Travis Jorgenson (5’9″ PG) who had 7 points, 7 assists and four steals for CRB in the game we saw, and Shun Williams (6’5″ PF) who had 16 against Blue Springs South. Smithville’s Deck returned to the team after an early season hiatus and certainly made a bid for Nelson MVP with averages of 23 points, 10 boards and 4 blocks. 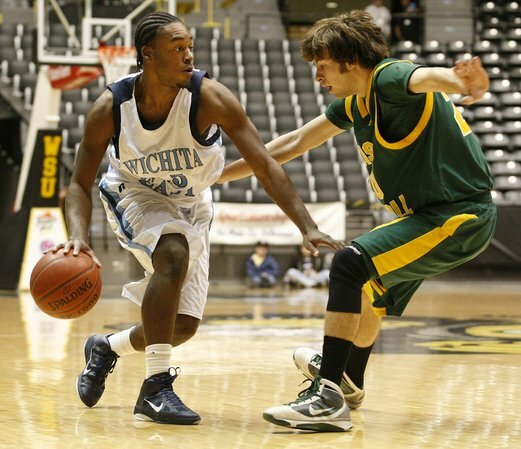 December got off to a huge start in Wichita’s City League with a rivalry game we featured in our pre-season when Wichita Northwest, led by PG Craig Nicholson’s 36 points, made a furious comeback against Wichita Southeast to win the season opener 80-78. Gavin Thurman had 22 for Southeast, who led by 10 at the end of the 3rd, but Nicholson was the hero hitting a runner with seconds left. The next week, NW barely survived a scare from Wichita North, and they now stand 4-1 alongside Wichita East (4-1) and Wichita SE (who beat East) as teams challenging Wichita Heights in the CL. December was full of big performances from players such as Wichita North sophomore PG Conner Frankamp, who had 52 versus Wichita Northwest, 29 against national powerhouse Heights (in almost pulling off upsets in both games) and 34 vs. Wichita South. Washington’s senior Tra’vaughan White dropped 35 in his first game (on only 19 shots) and had 30 in an upset of Raytown South. Senior AJ Spencer went off for 29 in his season debut with Shawnee Northwest, Chris Nsenki at Park Hill has had big games including 34 against Ruskin and Sumner’s playmaker Bennie Parker has had three double, doubles already. December also saw North Kansas City senior Brandon Shively hang three 30 point+ games and O’Hara’s DJ Jackson had 39 in a win just before Christmas. We are pleased to see Coach Vickers and William Chrisman continuing to run and gun, highlighted by a 93 point performance on December 10 when senior Adam Woods hit 9 threes and scored 35 points. The Bears look to improve from a tough year in 09-10. Congrats to McPherson coach Kurt Kinnamon who got his 300th win in December. Not easy to do at any level and his team is likely to win many more this year. We were disappointed to find out in December that a number of last year’s star players have either been ruled ineligible, transfered or have decided to forego basketball because of other sports commitments. Rockhurt’s Dan Tapko, Ray-Pec’s Cameron Coffman, Kickapoo’s Christian Kirk, Grandview’s Tyler Rambo and Piper’s Dominique Wilson will not be on KC hardwood this season. KC welcomed back a coach, however, as SM Northwest’s Ben Meseke (who we consider one of the best coaches in the area) returned in December after taking last season away from the game for health reasons. Some things did change in all three of our polls, and we were surprised at strong guard play from Liberty (Jordan Lewis has nicely complemented big Denton Koon) and the strong start for Rockhurst (without Tapko) giving both a shot at titles this year. O’Hara and Ray-Pec were ranked in our pre-season poll, but we did not expect them both to be undefeated at the Christmas break, especially the Panthers who are without Coffman. Park Hill’s fast start and Shawnee Mission Northwest’s early struggles prove that teams will move around as the season moves on. Lawrence Free State and Blue Springs South look like they are better than we anticipated and watch out for Topeka Hayden again this year after their last second win over St. James and a good showing against Lee’s Summit North. Even with losses, we have left teams such as Raytown South (who are without star guard Corey Hilliard until after Christmas), Olathe South (tough schedule) and Liberty in the top half of our poll. Teams with one loss such as Wichita East, Olathe East (3-1) and Park Hill South (7-1) are also playing well enough to remain toward the top of our polls and will be threats in the post-season. After falling to 4-2 with a December 17 loss to DeSoto, Ottawa has moved down in our poll but they could challenge for the 4A Kansas title once roles among several star players are defined. 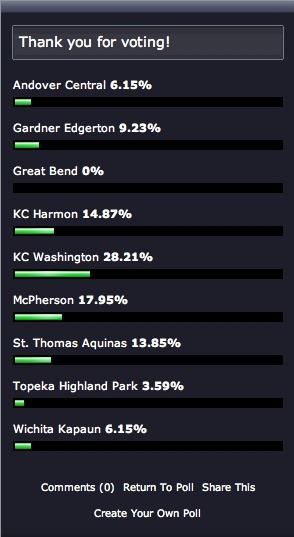 We have moved Maize up in our poll after their impressive showing against Grandview in the Hyvee. Miege in any of our polls and were surprised that other polls in the state had them near the top. And, they struggled early, including a bad loss to St. James and a loss to Kearney. But, they showed flashes in a close win over Gardner, and Coach Zych will have a new transfer become eligible in January that will join players such as sophomore Montel Cozart, freshman Wyatt Voorhies and veteran SF Curtis Okafor. We like what we have seen in December from smaller schools such as St. James Academy, Sumner (who has won without soon-to-return injured big man Eli Alexander), O’Hara and Basehor-Linwood. Among big-class schools, Truman, Rockhurst and Blue Valley Northwest are playing well as expected. With all of the parity in both states, we don’t see any team making it through the season without several losses. Even nationally ranked Heights looks vulnerable although they have won 21 games in a row. 1. Conner Frankamp – we know that Perry Ellis gets all the national attention (deservingly so) but this 6’0″ guard is one of the best sophomores Kansas has ever seen. He has single-handedly kept the Redskins in some games including a close loss head-to-head with Perry Ellis, and after watching him in the NW game, we left even more impressed. 2. The Murphy Twins – Basehor-Linwood’s Colin and Ryan Murphy are big, strong and play with a calm and finesse that is lost with most young players. At 6’6″, they can both shoot and run, and in December they together averaged 30 points and 13 rebounds per game as a tandem and both are near 60% from the field. The Bobcat’s dominant win over Olathe East in Emporia proves they are an elite KC team. 3. Christian Ulsaker – The 6’7″ McPherson PF has picked-up where he left off last year, averaging 20 points, 10 rebounds and two blocks per game (he also leads the team in assists). Many in the state think McPherson is the favorite for the 5A championship and he is the main reason, along with senior guard Jack Pyle. The Bullpups are probably headed for a showdown with Washington, who along with Highland Park and Gardner-Edgerton are the elite 5A teams in Kansas. 4. Hogan Prep – Dominique Washington, Broderick Newbill and Maurice Mason led the Rams (5-1) to the Citizens Bank tourney final before losing a close game to Washington. This is a program with a rich history that always produces great players such as Missouri’s Marcus Denmon. 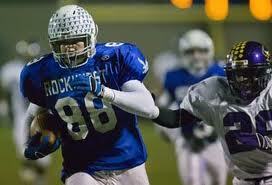 We missed by not having them in our early polls and Coach Stitzer has them primed for another Class 3 run. 5. Tra’vaughan White and Washington – We continue to believe White is the most fun player to watch in the area and Washington has a really good team. Averaging 23 PPG, the senior leader is very efficient, shooting over 45% from the field and still getting teammates such as Rakim McCoy, Jervon Hooks and Myles Hibler involved in offense. With their athleticism and depth, the Wildcats are definitely a threat for the 5A title and already have quality wins to start the season. Read a complete account of Tra’vaughan’s season so far here. Team of December – Bishop Carroll was not in our pre-season KC/Wichita poll and we had them ranked 8th in our Wichita preview well below Southeast who they beat on December 7. 6’4 Brian Rohleder, forward Ben Dreiling and junior Jordan Bieberle have the team playing well and the Golden Eagles are getting contributions from junior Tanner Palmore and seniors Adam Sueper and Chad Darland. Surprises of December – Little 1A Kansas school Bishop Seabury played very well against some power schools in December. 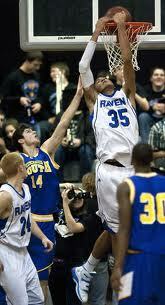 We have been hearing about Khadre Lane, a 6’3″ 2014 wing, and he put up 17 per game for Seabury in the tough Ray-Pec tourney. McPherson on December 17, but they are 4-1 and have a senior-led team. We have received emails and blog comments that question Blue Valley North’s talent. Led by a bunch of players with no varsity experience, North nearly upset Olathe East early in the season and Coach Phifer will only see improvement from this team as the year progresses. The Mustangs may not be one of the top 2-3 teams in Johnson County, but as they proved last year, they can make a run late. Lee’s Summit got no love from us early in the year, but the 6-3 Tigers blew-out Liberty on December 14, showing that they can be competitive in the Suburban Big 6, which has to be deepest conference in the entire area. We really enjoyed seeing other players such as: senior Lawrence Anderson of Lee’s Summit West who plays extremely hard, Travis Jorgenson of Columbia Rockbridge who is a great playmaker, the McCullough brothers of St. James and freshman Clay Custer of Blue Valley Northwest who makes an already deep team that much better. We’ll give our team award to St. Thomas Aquinas, who not only played very well together but also rotated at least 1o different guys into their close loss to O’Hara. Several teams have players that are over-shadowed by more well-known teammates such as EJ Dobbins of Wichita Heights and Earl Peterson of Raytown South. In January, we will have several more tourneys to discuss, including the late December William Jewell/Bank Midwest games, and there will be some great rival match-ups in early January including Liberty vs. Park Hill South and O’Hara vs. St. James. Probably the marquee match-up will be on January 7 when 6’10” Willie Cauley makes his first appearance for Olathe Northwest against Sunflower league favorite Olathe South. Next month should also provide a better idea of which teams really are elite in both KC and Wichita and we are looking forward to seeing as many games as possible. Our mission here at KCPREPHOOPS is to promote the quality players and teams in the Greater KC and Wichita areas, and position our hoops on a national level where it belongs. As coaches and major college programs begin to wake-up to the talent level in our area, we want to make sure to highlight successes players are having at top levels. In Kansas City, Blue Valley West High School has produced two notable examples in recent years with players who probably did not get their due nationally in high school but who have produced in major college programs. Texas Tech junior Robert Lewandowski and Nebraska sophomore Brandon Ubel both played for Donnie Campbell’s Jags in Overland Park, KS and both were not only top players but also top students. 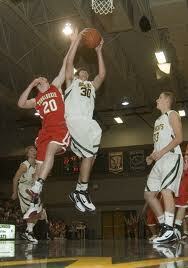 Brandon Ubel averaged over 17 points and 7 rebounds in his senior year at BV West and was named first team all-state. He definitely received some attention from programs at the mid-major level, but many locally felt he was better than how the national scouts rated him. The Huskers, though, paid attention to KC and got themselves a tough inside presence who could immediately play in the Big 12. In his freshman season at Nebraska, the 6’10” PF played quality minutes in averaging over 4PPG and 2RPG in only 15 minutes per game. His finest freshman moment may have been in Lawrence where he scored twice late to push the #1 Jayhawks to the brink, but he also scored 14 points in a head-to-head match-up with Lewandowski and Texas Tech three weeks later. In 2010, Ubel has started in five games, is averaging 7 and 4 and shooting 57% from the field, including 10 points against Vanderbilt and 9 rebounds vs. Davidson. From all indications, he will continue to improve on a Husker team that is very young and has promise to be better over the next several years. 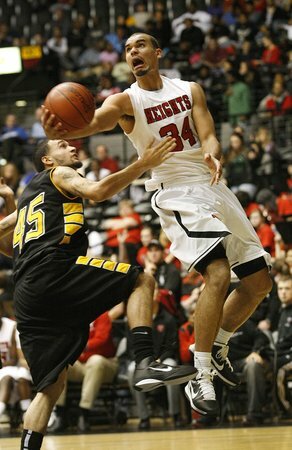 6’10” P Robert Lewandowski was a two-time all-stater at BV West and helped lead the team to the 2007 Kansas state championship with 20 points in the finals. He has been a solid contributor in both his freshman and sophomore seasons at Texas Tech, including big games against Texas A&M (20 points), Oklahoma State (double/double) and Seton Hall (7 & 10). Lewandowski was named to the All Big 12 Academic second team and has been recognized for his character by both the Big 12 and Community of Champions. 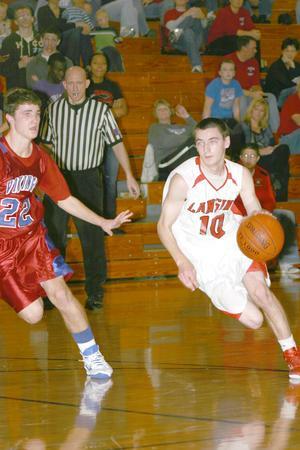 In 2010, Lewandowski has started all eight games and leads the team in rebounds, blocks and free throw percentage. He is third in scoring with just over 12PPG and is currently the Big 12 leader in FG percentage. Coach Pat Knight has consistently praised him as a key part of the team’s early success and as an overall contributor to team chemistry. As we noted in our September article there are many KC prep stars who are making an impact at the college level. From more visible players such as Marcus Denmon (Missouri) and Alec Burks (Colorado) to lesser known successes such as Clinton Mann (Davidson), Kyle Weems & Adam Leonard (Missouri State) and Justin Hurtt (Tulsa), we play at a high level in our cities and we produce talent that is impacting programs across the country.